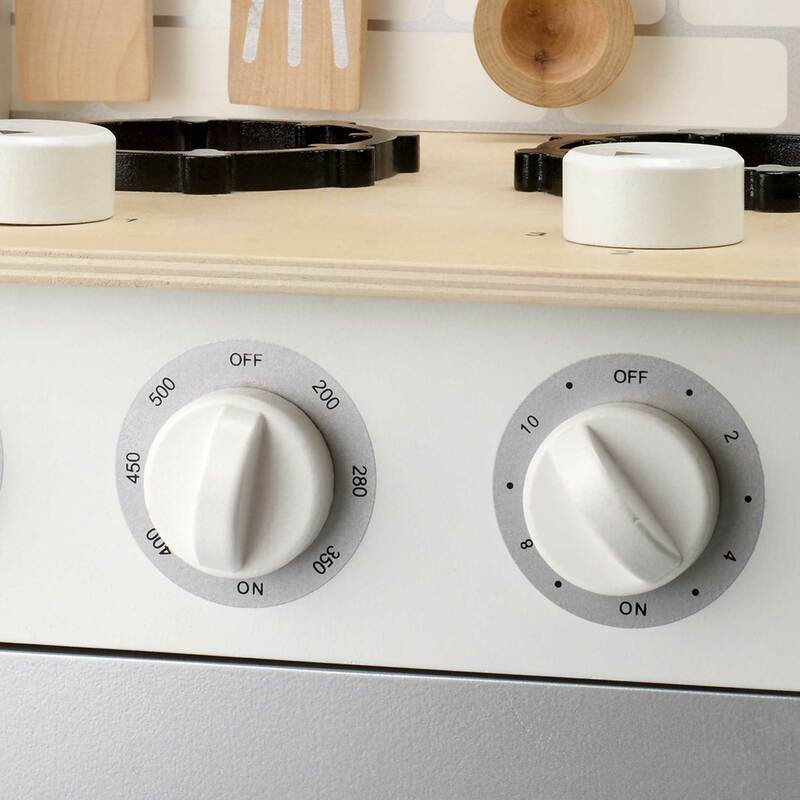 Sugar Cube Play Kitchen | Great Little Trading Co. This wooden play kitchen really takes the biscuit: it's pretty, it's sturdy, and it offers pan-loads of play value. But it won't take over your entire sitting room, and it's easy to move around too; pop it outside on sunny afternoons or in the kitchen when you need to get on with your chores. 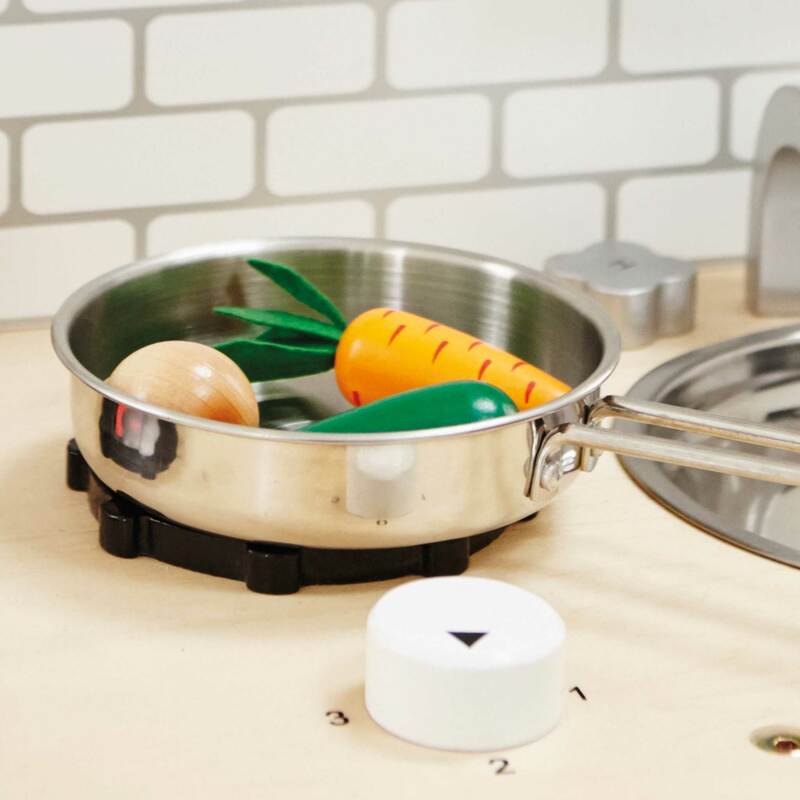 It has a hob with clicking dials, a clock with moving hands (handy for learning to tell the time), wooden salt & pepper pots, a shiny removable sink with turning hot & cold taps, and 3 wooden utensils. 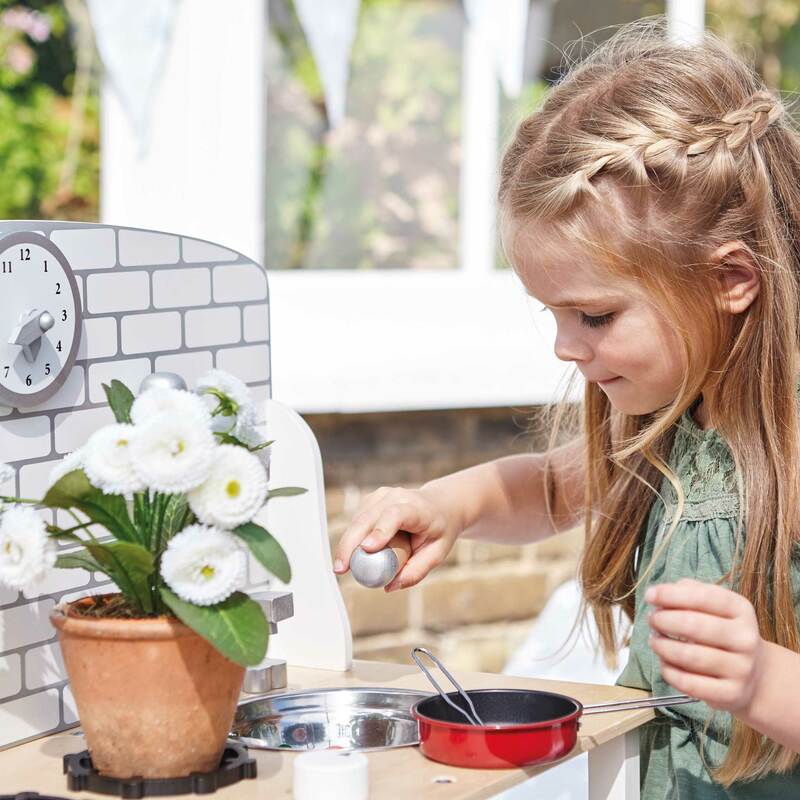 Make the most of this beautiful play kitchen with the addition of a Toy Pots & Pans set and a Play Food set.